There is nothing more exhilarating than being on stage. It is the place where I feel most myself, most connected to the world, and the most at ease. Music has always been a place where I’ve found the answers to my life. My records have always revolved around real life events and when you have to refine your emotions or moments in approximately three minutes - you begin to understand what you were trying to say or how you felt. My new album, in particular, was written during some of the hardest years of my life. My family fell apart, my love life fell apart, and I lost some incredible people. Music gave me the ability to channel my emotions and articulate exactly how I was feeling. This album helped me heal in ways I never thought possible. When you write from a place of truth, it is undeniable, it is raw -- it is YOU. Through this process I finally found my true music self. I grew up listening to Led Zeppelin and if you were to look around my apartment, my walls are covered in David Bowie, The Cars and Jimi Hendrix. I wanted to bring those vintage synths, splashes of punk guitars all mixed in with my deep vocals and some current sounds. 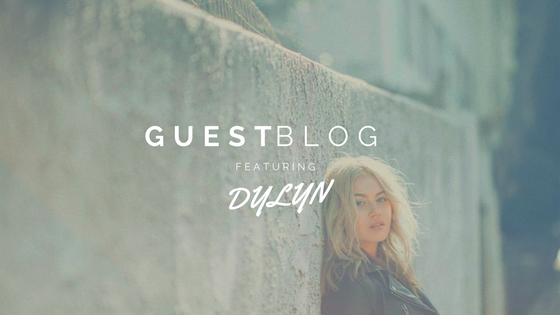 I found the sound that best suited my personality and musical interests - I found DYLYN through all the turmoil. I’m happy to announce that the album Sauvignon and a Kimono is dropping February 23rd, 2018 and I am touring in Germany this May. Music as a career is something you have to deeply love in order to keep going. Life will throw grenades and it’s up to you as a person to see what you can do with them. My biggest hope is that if a person is sad, angry, happy, depressed, anxious and need something to calm them down they can listen to a track on my album and it takes them to a place where they can work it out in their heads. Music is meant to heal the soul and I truly hope this album does that for some listeners as it did for myself. If you have a dream, keep going, if you have a bad day or year, channel that negative energy into something beautiful and honest – you win in the end.